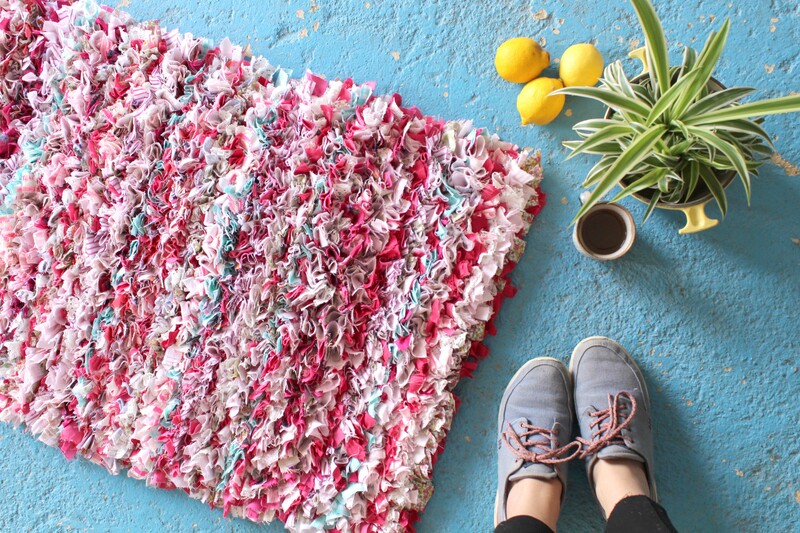 What are Rag Rug Scissors & why are they so great? Almost all textile crafts require cutting up fabric at some point during the process of making something fabulous, but rag rugging takes the prize for the sheer quantity of cutting that’s needed. An average rag rug like the one below takes a whopping 25 medium sized garments to make (although the shaggy rag rug technique does eat up more fabric than some of the other techniques) and all those t-shirts, shirts, dresses and offcuts need to be turned into usable strips before they can be used… eek! This rug took around 25 garments to make! 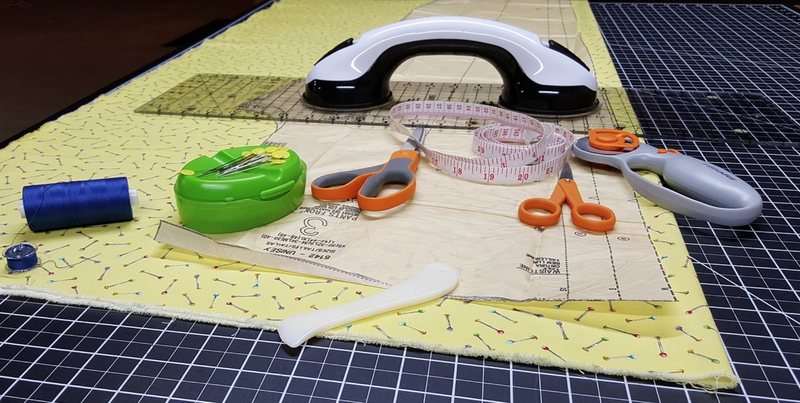 Scissors are portable, which means I can do my fabric prep pretty much anywhere without the need for tables, cutting mats and other bulky bits. This means that I can chop away on the sofa in front of the TV, in the garden or even on the train (although I did get a few odd looks). I love this freedom. 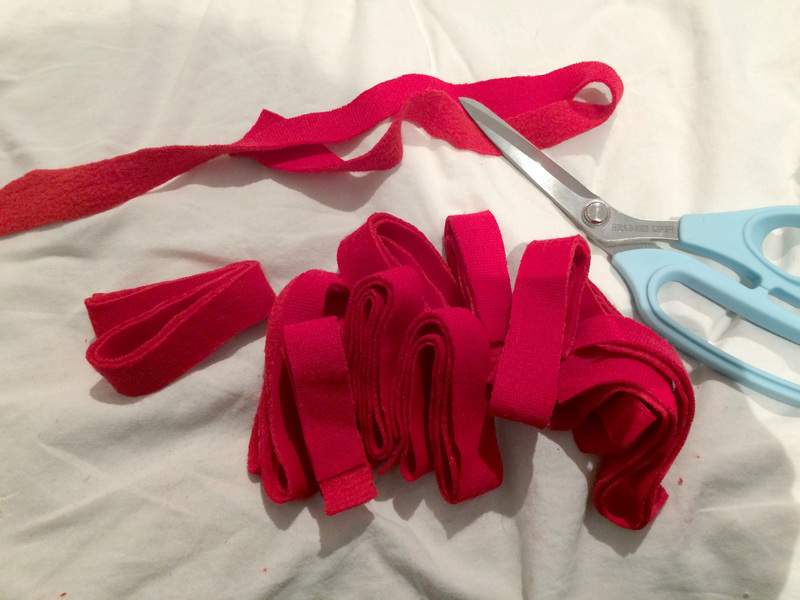 Scissors work best for varied and wonky cuts of fabric. Rotary cutters are great for quickly zipping through beautiful, uniform fat quarters, but have you ever tried deconstructing a t-shirt or shirt with one? I thought not. Well, take it from someone who has tried a few times – it’s messy, faffy and ultimately slow going, especially if you’re trying to create the least amount of wastage possible. 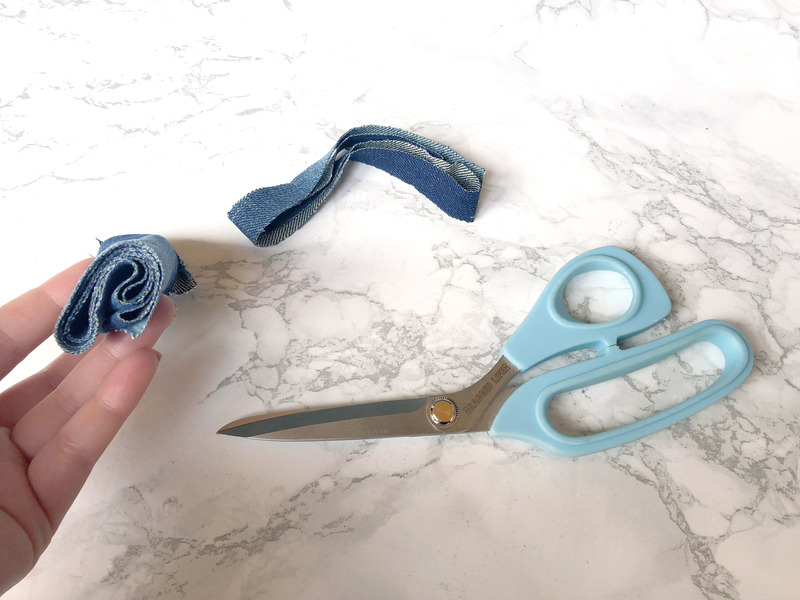 Rag rugging is all about using up offcuts, old clothing and odd bits of fabric, and scissors are the best tool to chop them up quickly and with the least hassle… seams and all. Rotary cutters become pretty cumbersome to use when you’re cutting anything other than thin, simple bits of fabric. 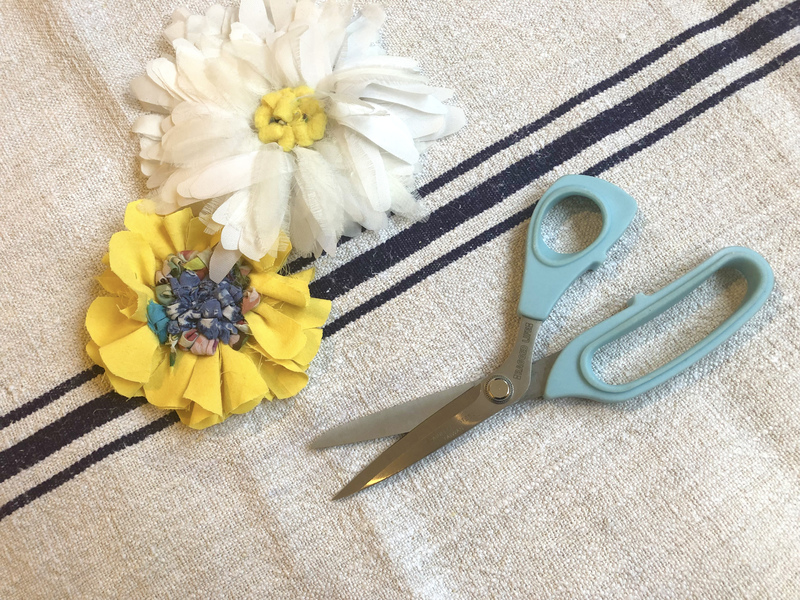 Good quality scissors (like our rag rug scissors) can cut through lots of layers of fabric at once, whereas in my experience, rotary cutters can only make it through a few layers of thin fabric before things get a bit ropey and you end up with some layers cut and others partially sliced. Cutting through lots of layers at once, speeds up the fabric prep process immensely. Scissors are simple and effective. I’ve tried playing around with other fancier tools like the Electric Cordless Cutter, but for me, they always have negatives that outweigh the positives. The noise involved with the cordless cutter was just too grating for me, for example. 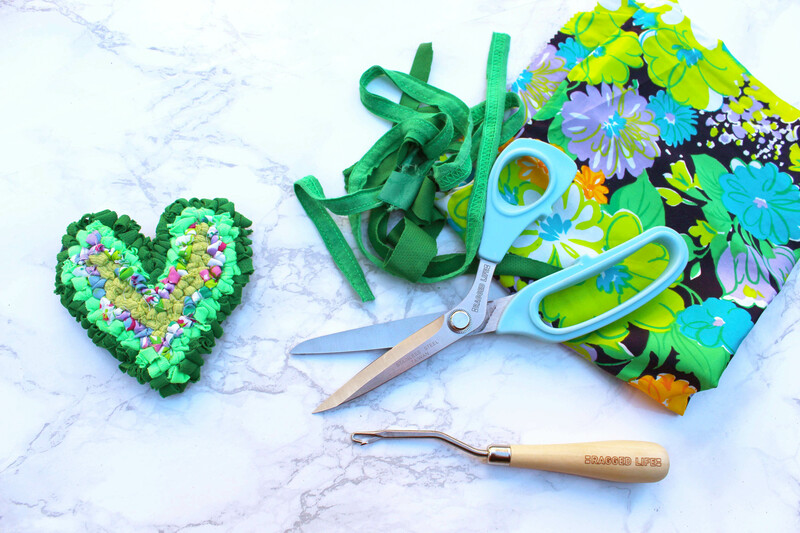 What makes our Rag Rug Scissors so Great? Here’s what the scissors look like in all their glory. Being able to cut through multiple layers of fabric at once. Being able to cut through lots of different types of material with ease and without blunting. Not hurting your hand in the process. Our rag rug scissors have super sharp, Japanese stainless steel blades. I won’t go into huge depth about the qualities of different types of metals (and I’m sure you wouldn’t want me to), but I can tell you that I’ve tried dozens of different scissors and I think that Japanese stainless steel is the best for longevity and strength. There’s not an awful lot that these blades can’t cut through (but obviously stick to fabric to keep them in best nick), which is why I call them the “tank of the scissor world”. They’re not about precision and accuracy like dressmaking scissors, they’re about pure power and strength that will cut through any fabric you put in their way. Our ragged life rag rug scissors even cut through lots of layers of denim at once. If you look at the blades of our rag rug scissors up close, you can see that they are microserated (or slightly jagged). This means that the blades can grip onto and chop through every thickness and quality of fabric from chiffon right up to denim without blunting over time. The grip of the microseration means that they give a very clean cut even through multiple layers. I’ve been using the same rag rug scissors in my workshops for the past four years and I haven’t had to sharpen them once! ‘Hand-ache’ becomes a thing if you spend a long time cutting up material and I wanted to minimise this as much as possible. I, therefore, chose soft, rubber handles, rather than hard plastic ones for added comfort. They mould perfectly in your hand and the strength and effectiveness of the blades also reduces strain. Can I use other fabric or dressmaking scissors? Dressmaking scissors are sharp and wonderful, but they’re not made to be used with so many different weights and qualities of fabric, let alone being forced through lots of layers of fabric at once. This blunts them over time, which makes them less effective for the finer work that they’re actually made for… dressmaking that is. 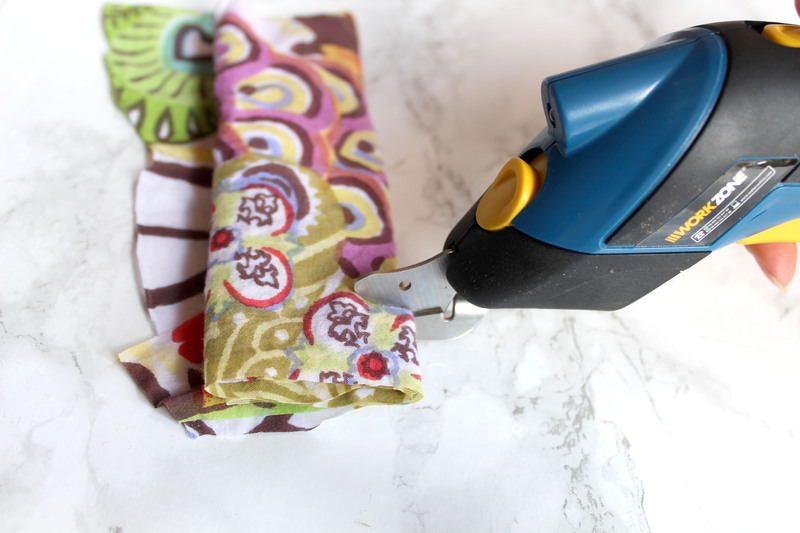 Other fabric scissors, like Fiskars, are great for cutting through single layers of fabric, but just aren’t designed to cut easily through lots of layers of fabric at the same time. They’re lovely scissors, but just not as strong as our Ragged Life Rag Rug Scissors. Also, I personally prefer soft, rubber handles over hard, plastic ones. Right, that was a longer monologue than I was expecting, but hopefully I’ve managed to answer many of the questions that you may have had about what makes our Rag Rug Scissors different. 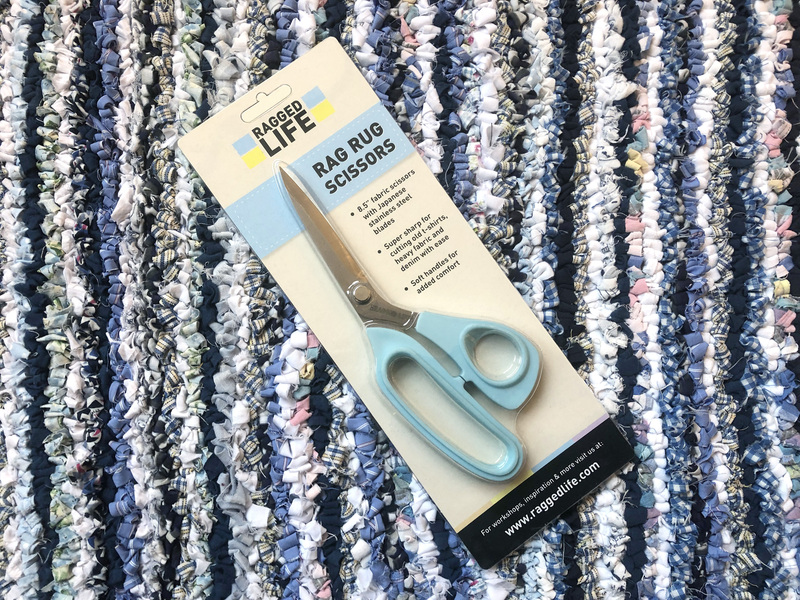 Where can I buy the Rag Rug Fabric Scissors? You can buy the scissors individually on my website here, or as part of our Deluxe or Ultimate Rag Rug Kits, which include all the tools and instructions you need to made a 100 x 60 cm rag rug. I hope you found this blog article interesting / useful and I hope you enjoy rag rugging! If you’d like to be the first to see my latest projects, why not join our Rag Rug Community on Facebook or join our fortnightly newsletter here. 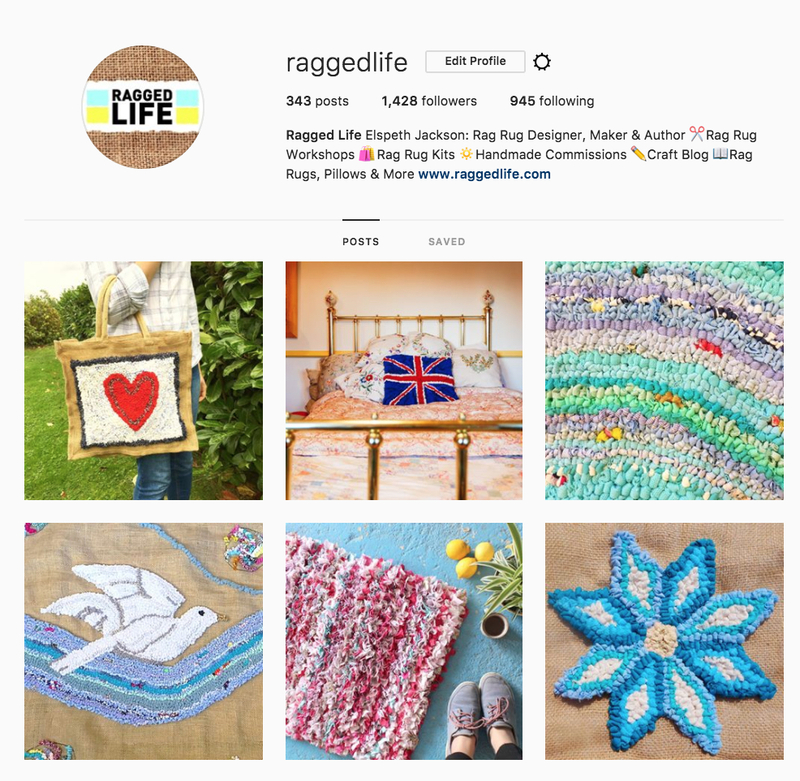 We’ve got lots of beautiful rag rug designs for you to take inspiration from on our social media channels. 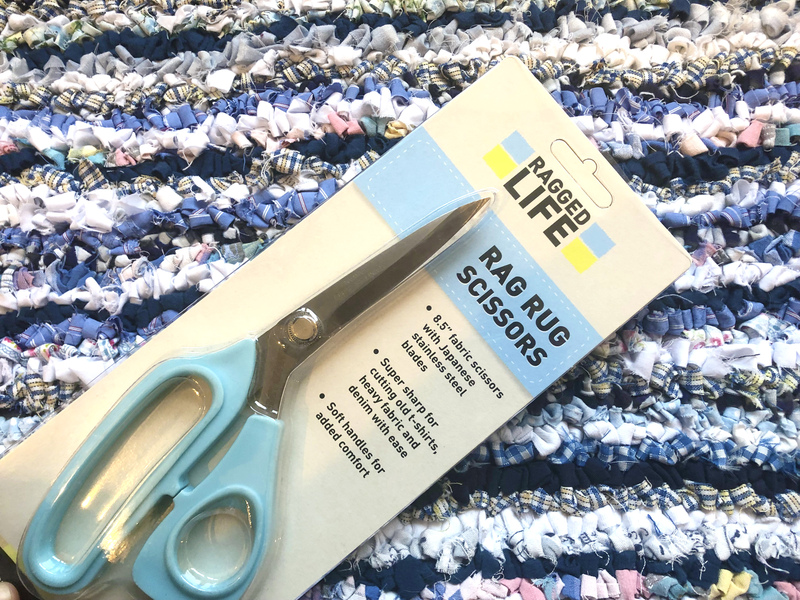 This entry was posted in Rag Rug Supplies, Rag Rug Tools and tagged 2018, Rag Rug Scissors, Rag Rug Tools. Bookmark the permalink.